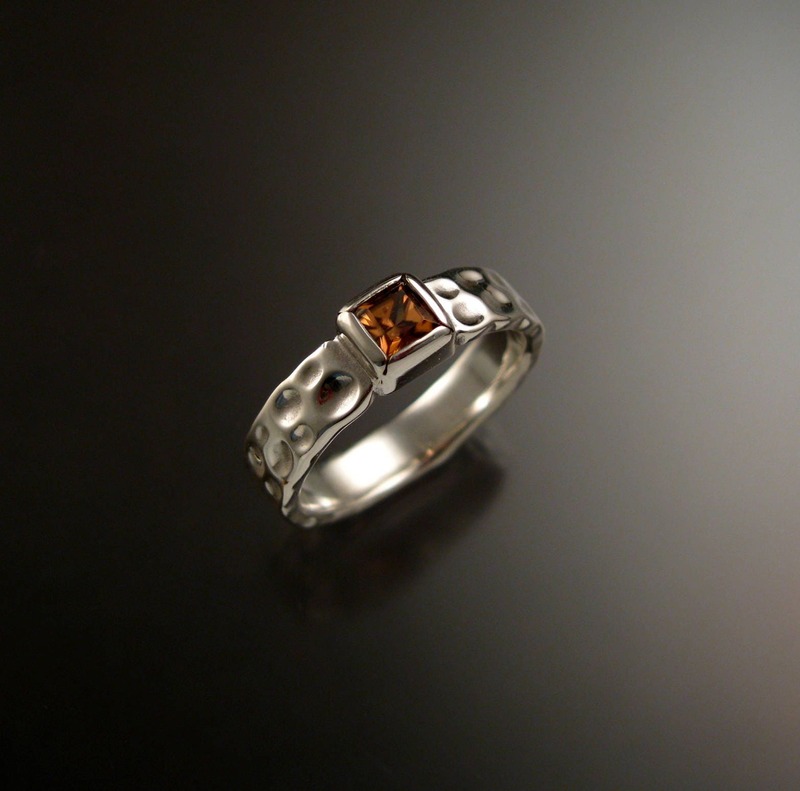 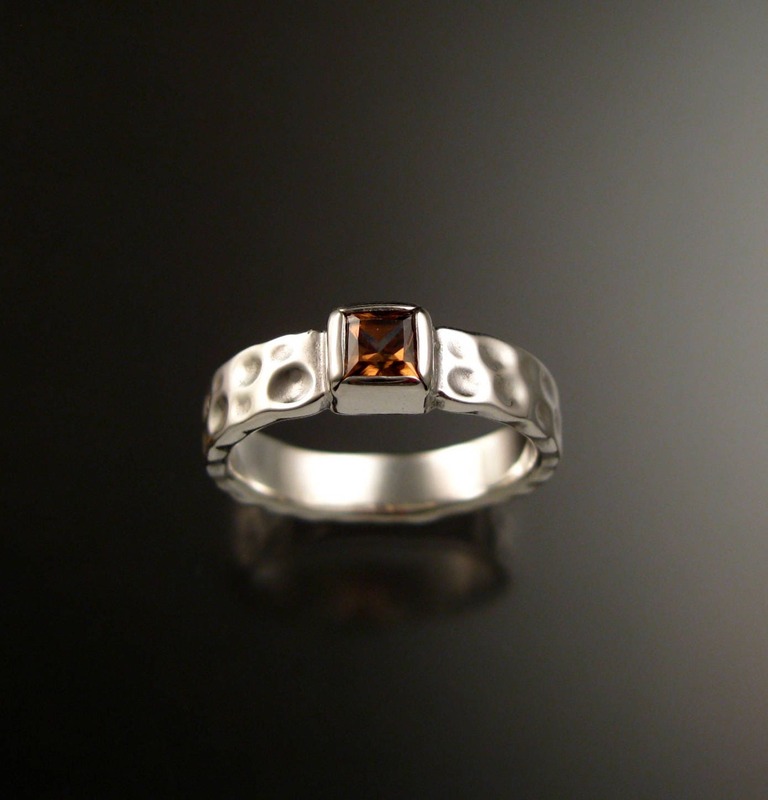 This beautiful 4mm square Cinnamon colored natural Zircon is eye clean and expertly cut. 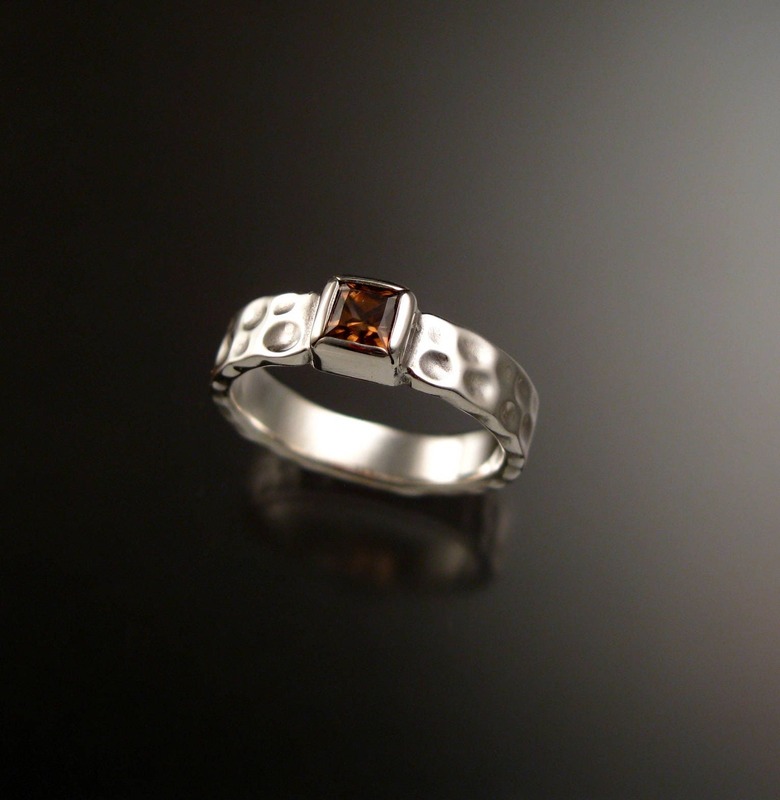 Bezel set with 1 1/2mm thick and 4.2mm wide band. 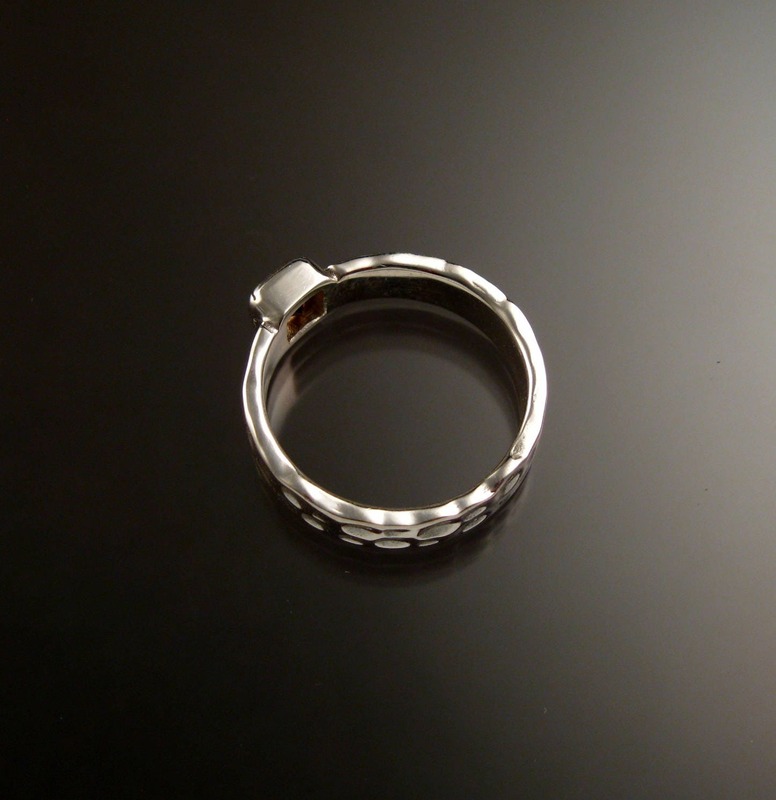 The band is hand punched with deep polished craters. 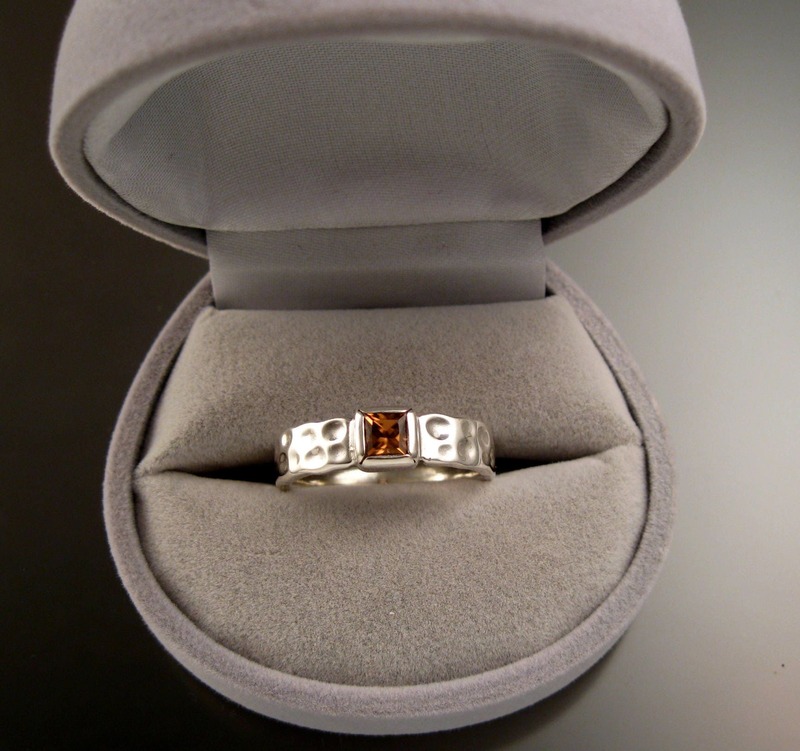 Specify you ring size in a "note to seller" at check out.